With “Street Lights Fail“, the Swiss Progressive eccentrics Nucleus Torn, led by mastermind Fredy Schnyder, introduce the first part of a concept comprised of two albums, which is going to be completed in 2015 with “Neon Lights Eternal“. After the trilogy consisting of “Nihil“, “Knell” and “Andromeda Awaiting” and its subsequently released prequel “Golden Age“, the new album “Street Lights Fail” marks not only the start of a new concept, but also a radical aesthetical change. The album impresses with a contemporary, anti-nostalgic sound and takes a stand against the intolerable boredom of listening to predictable music. With qualities that have always been common to Nucleus Torn (expertise, creativity, bravery and the readiness to fail) the band has created an album of 40 minutes with a density which is, in terms of sound, style and emotion, unparalleled in progressive rock. A fair share of this can be ascribed to Anna Murphy (Eluveitie) as well, who for the first time acts as the only singer on an album by Nucleus Torn, thus leaving a distinct imprint. Fredy Schnyder backs his new work more confidently than ever: “with ‘Street Lights Fail’ – and later on ‘Neon Lights Eternal’ – Nucleus Torn make good on their great promise. The albums show the group’s entire potential, are both peak and closure. 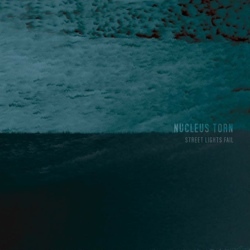 If Nucleus Torn are to be remembered by anybody, then hopefully through these two albums“. “Street Lights Fail” will be released via Prophecy Productions on 15th of August 2014 (North American release date: 19.08.2014), but it is already available for pre-order in their label’s e-shop.